all your material in your personal and individually created digital media library. Add your current schedule into TEGO.CLASS. Making it a recurring event means you’d only have to change it again once you get a new schedule. 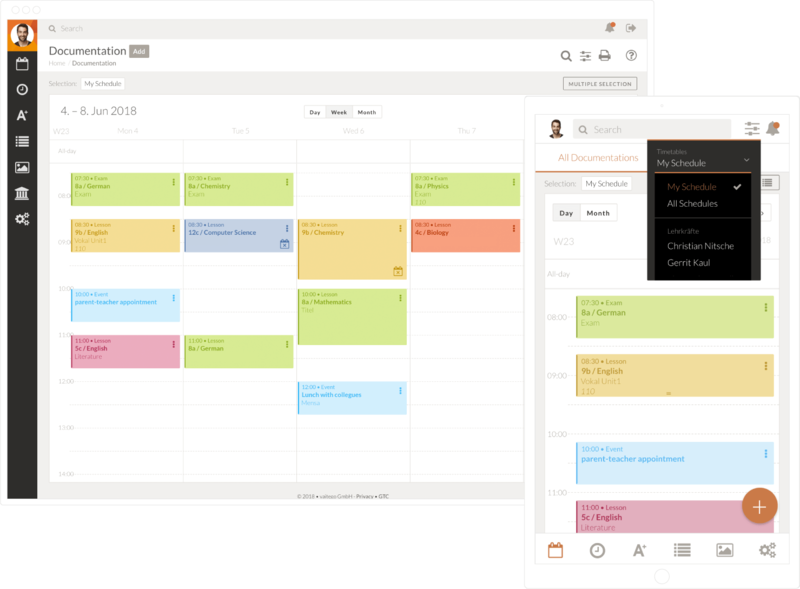 Access your colleagues’ and other classes’ schedules to plan and make notes on classes you cover for your colleagues as a substitute teacher. Use TEGO.CLASS to plan your daily lessons in advance. Add your teaching materials, charts, photographs, videos or mathematical formulas, and be perfectly prepared for every lesson. Save your lessons digitally as a model for future lessons, structure them in folders and use them again when necessary. You also can share the teaching planning models with your colleagues for efficient collaboration. 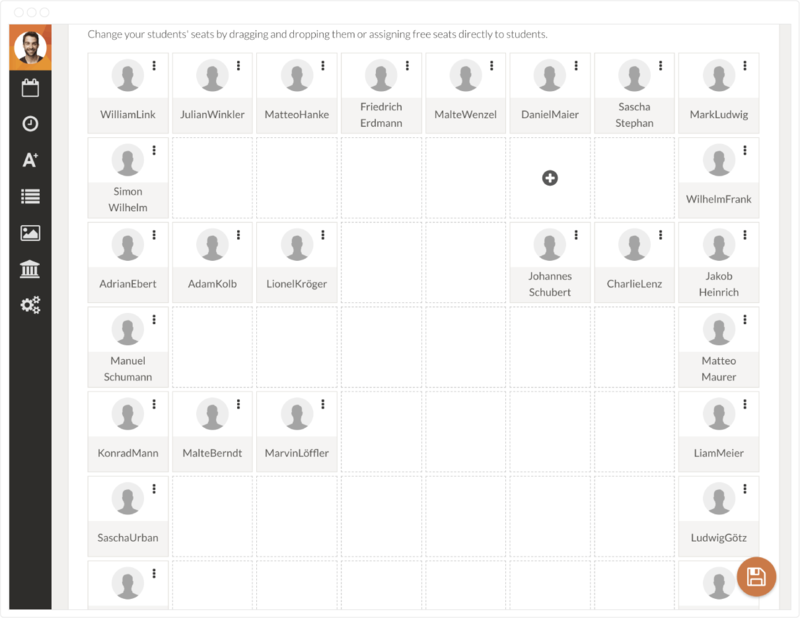 Create individual seating plans for your classes and courses. Link your seating plans with class-rooms, helping you keep track of the current seating situation of all your students. 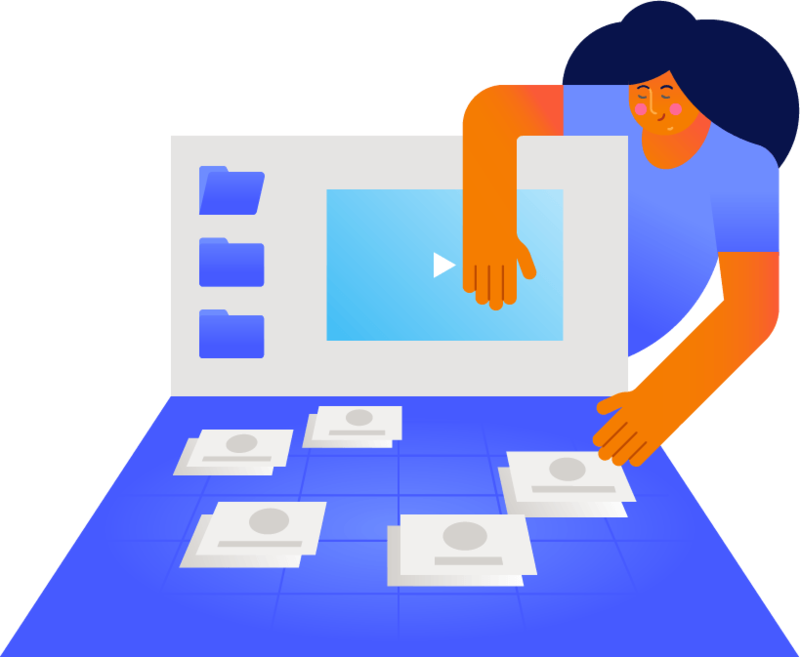 Help your colleagues stay on top of the current seating situation of your students as well in case they substitute for you in one of your classes. 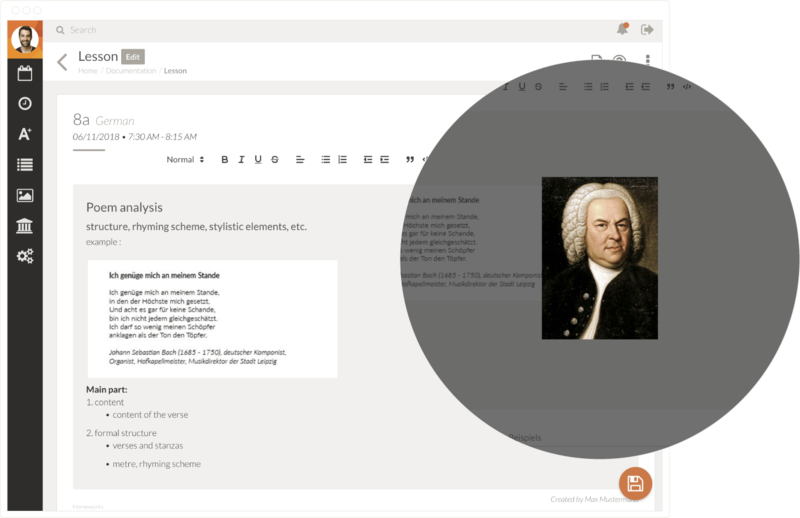 Use your individual digital media library to manage all your teaching materials. 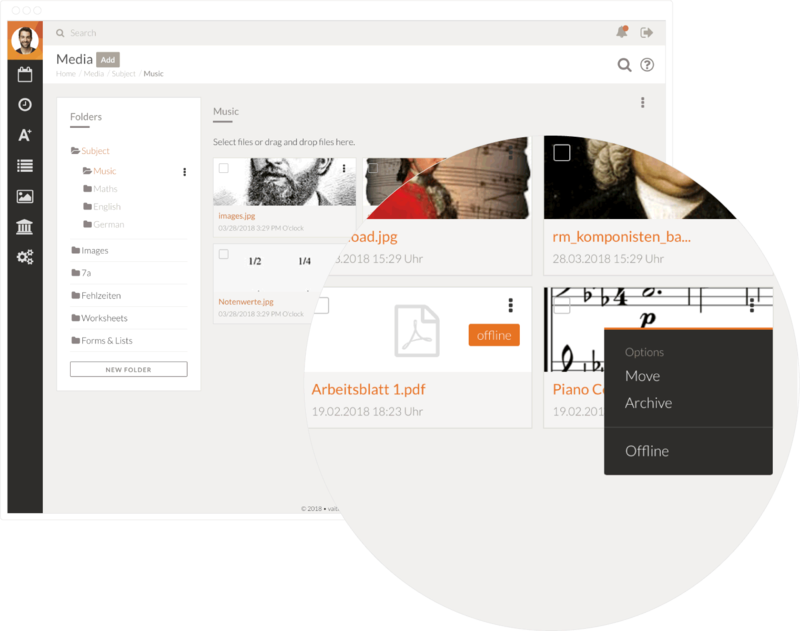 Create folders for all your classes and subjects, and upload all of your materials. You can even upload photos directly from your smartphone or tablet. There’s no wifi or internet at your school? No problem, simply make your TEGO.CLASS files available offline and easily access your teaching materials without internet.